Escapes, wrongful detentions and wrongful releases are happening up to three times more often at the privately run Mt Eden prison than in Corrections Department-managed institutions, figures show. Information obtained by the Greens under the Official Information Act for the 18 department-run jails has been compared to the first performance report for SERCO. It is excellent that the Greens are focusing on the social tumor that is private prisons, they join Labour and MANA in decrying SECRCOs rise in NZ. 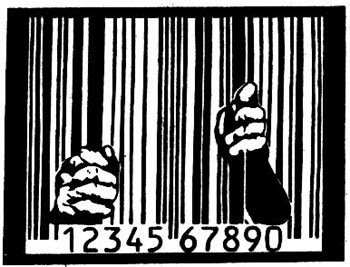 By 2014 NZ will have the highest percentage of prisoners in private prisons than any other country in the OECD, that this has happened with zero public discussion over what the profit motive will do to incarceration should concern us all. SERCO is massive. Huge. Monolithic. It's effectively the privatized state, they provide social services minus the cost and services. Prisons, air traffic control, even ballistic nuclear missile launching for the British, SERCO is the small state provider of choice for right wing politicians to sub-contract their social obligations away to a corporation that profit maximizes at the cost of the public. Forget the Chinese paranoia over Huawei as a security concern, what about SERCO? They provide services for the US Army, US Federal Aviation Administration, US Navy, US Air Force, US Department of Homeland Security, US Marine Corps, US State Department and the US intelligence community. In Britain, SERCO is a major player in their charter school experiment, with their prison interests here it's only a matter of time before SERCO start recommending a School-Prison complex so they can move the students from poor communities straight from class into a cell. Facetious comments aside, we are allowing a mammoth private Government corporation into NZ, paying them a billion for a new prison plus $29m each year for 20 years and no one has really publicly discussed any of this. I wonder if they manage electoral rolls? That is a seriously scary video. Especially if the government whose mission they embrace is not our government. "Serco gave NHS false data about its GP service 252 times. Private firm admits altering data about out-of-hours doctor service in Cornwall, prompting call for review of contract."